I love how the layout is designed. 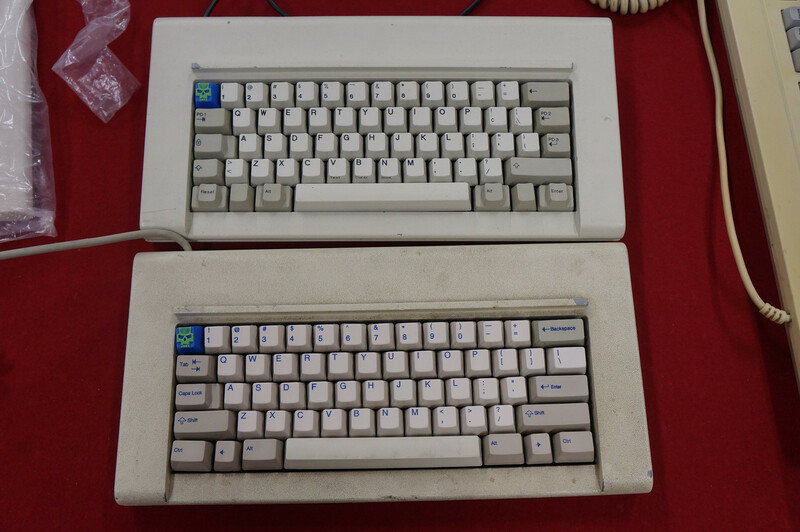 Most people fail to realize the highly unappealing proportions of traditional 75% keyboards. I can Vermillion and his sense of aesthetic. But is there any other color that you can throw our way without upsetting the early adopters of your previous versions? 1 other color thats out of the box this run? They would maintain their special colors that wont be repeated (along w/ their nameplates) and we'll get a single choice that deviates from "plain"
I got several request about adding another color option. As you see, I already added dark gray, it wasn't an option of first batch. At first I won't add any color besides black/silver. I thought that's a gesture for the friends who was brave enough to join "risky" GB. I announced that I'll not add any significant color, and personalized name plate. I'll keep my words, this stand will be applied for everybody who joining my GB. Only this way, I can be honest designer, man of word. There's nothing that I wouldn't do. I'm glad to see you're making more things available for us! I need more keyboards to hold all of these keycaps. You've been fantastic so far, Zefyr. No worries, man. I think I can't resist the temptation to get this baby reanodized the color of my choice, but it will give me time to let my wallet recharge in the meantime for that service. Not bad, since I'm thinking about getting my Lightpad reanodized too! So could we use eSATA cables with this? I would just be afraid of breaking a regular SATA connector. Simple solution. Just never disconnect the sata cables from the keyboard. That's actually a valid point. SATA cables aren't designed to handle a very high number of plugs. A little worrying to say the least. Haha, there goes my idea of having a shorter cable for when the board is used normally and a longer cable for when it's split. Not compatible. 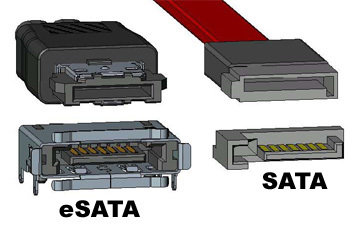 eSATA is a "symmetrical" plug, SATA has a guide notch. I'm in. I will sell everything I own for this thing. Vermillion, would it be possible to switch eSATA for the next round? Lol who said anything about another round? If i get in on this, I need to find out where i can get a curled SATA cable like the pics. Looks amazing. You need a pencil, and blowdryer. Make coil using pencil as core, blowdry a munite, hold tight until gets cold. now you have a nice colied cable. What could be an interesting solution would be to use eSATA ports on the PCBs instead of SATA. But if that's not a problem for most people it might just not be worth the extra work. I'll be honest in that I'd probably use this as my work board, so it would see a ton of connects/disconnects, but I'd gladly take the chance with sata if it means less work for vermillion. I'm sure they won't be terribly hard to repair worst case. You all know I don't send SATA data via that cable. number of pin matters. and there's some more conditions. I searched for a long time for the "right" cable for VE series. At first, I made custom cable with common plugs like molex. I must say it's not a job for human-being. So, I looked around cable markets... like 3 months, to find something meets following condition. - small connector size for sleek housing design yet can solder-able by hand. - use same plug on both end. Is it the cable that has a limited number of re-plugs, or the connector on the keyboard? Or both? If it's just the cable, I'm not too fussed since they are cheap. But if I have to re-solder the connector on the PCB that might be annoying. Oh definitely, agreed that it's worth discussing and thinking about; even minor issues should be rectified if easy enough. Just saying it won't stop me from buying, by any means. VE.A uses shrouded(improved durability) connector on PCB side. which I didn't with Vergo type.T, it was open connector. but no broken connector reported yet. that's why this thread titled "discussion" right? I'm sure it was a lot of time spent into getting the right connector, thanks for explaining! The flat SATA cable coiled up really adds to the aesthetics. How hard will it be to get used to ergodox-esq layouts? in my case, 2 weeks? 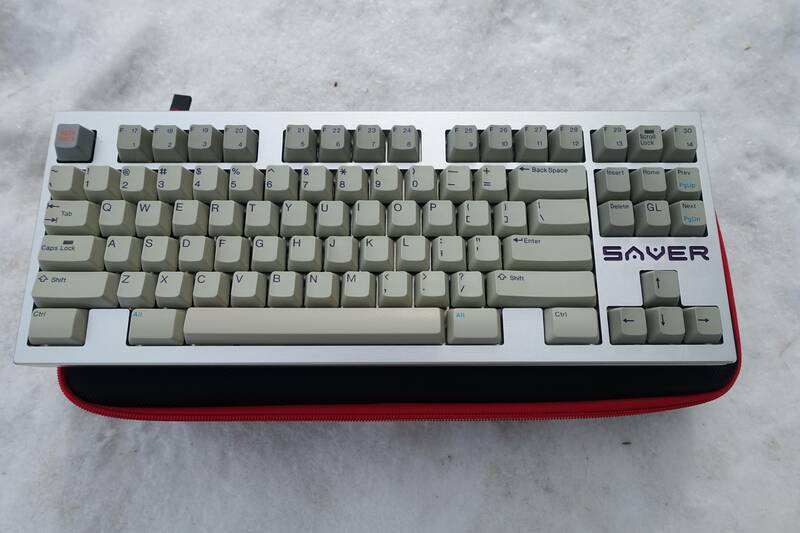 that 2 weeks changed my typing life forever. That sounds really fast. At the moment my left hand types the YHN column a bit more than my right hand, so it will be interesting to say the least. I am very excited for this! It is everything I want in a keyboard! I don't think it makes any sense for that key to be a zero key in the firmware, lol. Though it will be programmable, so you can hurt yourself all you want if you'd like. I think I may have phrased that wrong but thanks for your answer as it did answer my question. Just ordered but are there any pics of the dark grey compared to the black? Can't decide. Also can we buy just the stabs? I've got plenty of Zealios. 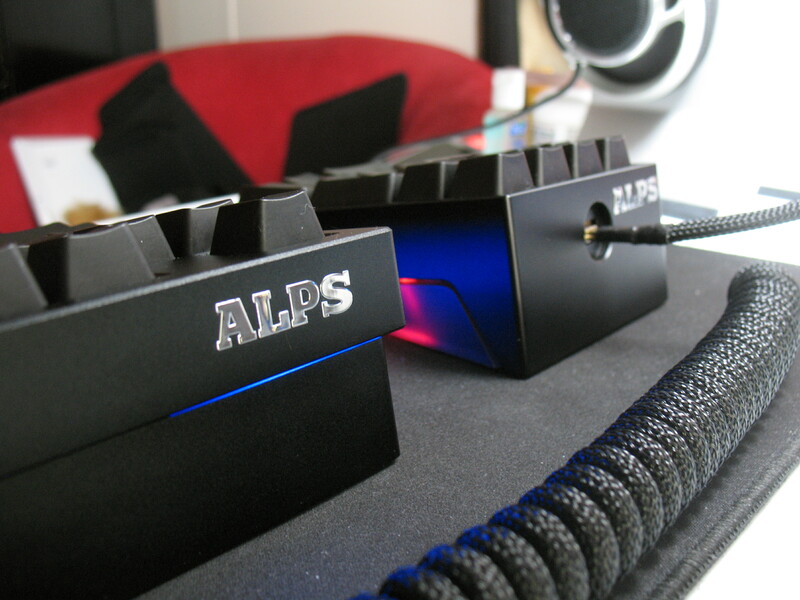 The design is NOT ergonomically optimal..
IMHO, this layout compromises Ergonomics to preserve keycap compatibility.. If you're gonna go this far and get a $400 ERGONOMIC keyboard, but it isn't designed all the way for ergonomics.. What was the point .. The right hand side would work fine, because you can get your hands around it. For $400, I'd also expect machined acrylic, not laser cut acrylic.. and if it is laser cut, I'd expect better cut than what's in the picture..
Those vertical lines show up because they're prioritizing cut speed over cut quality.. This is a highly tweak intensive process.. because different acrylics even within a single batch may require different cut speeds / cut temperatures for smooth edges.. The original ergodox does not have very good edges either, but for $200, I let it go..
Guys, if you get this. Don't waste your money on that stand..
Tenting requires a MUCH HIGHER stand, and across multiple axis for best fit and comfort. This seems to only tent left-right but not up-down.. I had tried using my ergodox with only left right tenting, it did not fit my wrist well. ONTOP of which, you need significantly more tenting then that picture.. something along the lines of 100mm in the middle.. 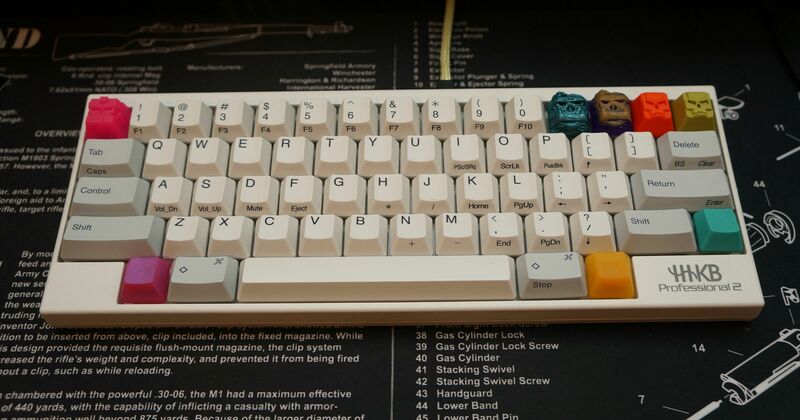 Some of you may say.. Buhh Hey, Tp, Keycap compatibility is very important to me, I have spent so much money on keycaps.. 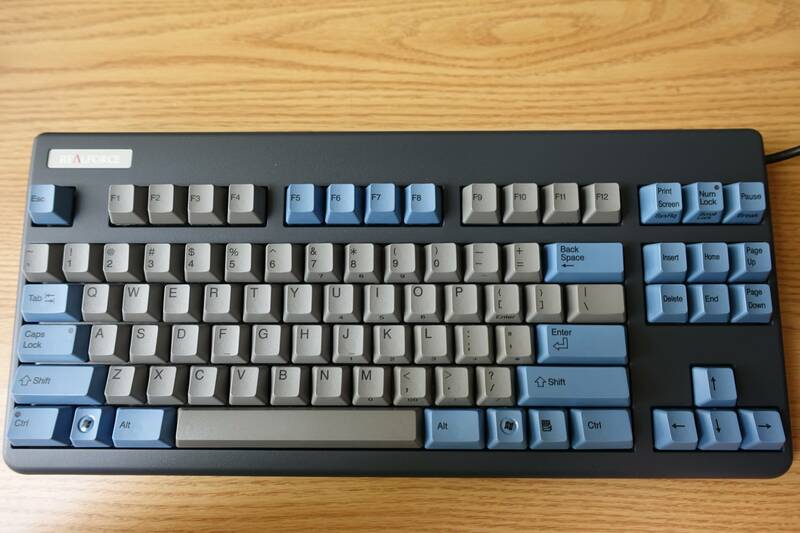 Yes, Fine, but that COMPROMISE puts this keyboard strictly into the realm of mediocrity as an Ergonomic board..
That is to say, The keycap investment from the beginning was a major mistake.. BY PRESERVING IT, you've legacy-ed that mistake..
What if I just think it looks cool? That's about how I feel, I think it looks super cool. But the problem is that I have 0 desire to type on one.